These are the 1834 replacement body clips by Traxxas. Traxxas replacement body clips. They can be used on Traxxas or most other brands of cars. 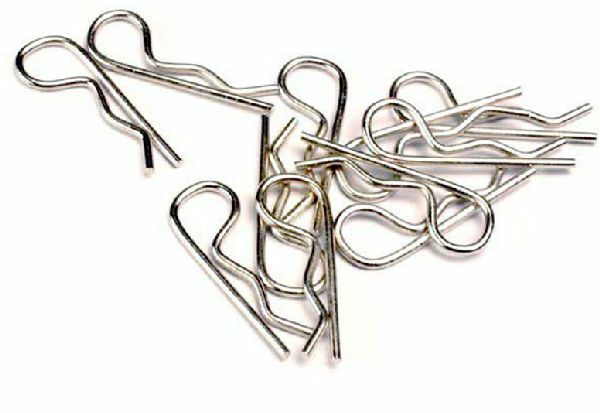 These are metal clips are silver in color.